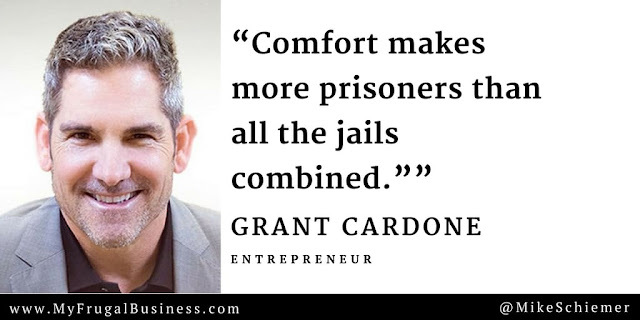 Grant Cardone is a successful speaker, best-selling author, entrepreneur, and sales expert that has reached tens of millions of people across the globe. Uncle G started out close to broke and addicted to drugs in his mid-twenties and hustled hard to become one of the world's biggest authorities on sales. Grant Cardone is famous for his no excuses attitude and aggressive work ethic. You'll hear countless inspiring tidbits of wisdom on Grant Cardone's podcast, website, YouTube channel, business courses, books, and speaking engagements. Here are some of my favorite inspirational quotes from business guru and investor Grant Cardone. 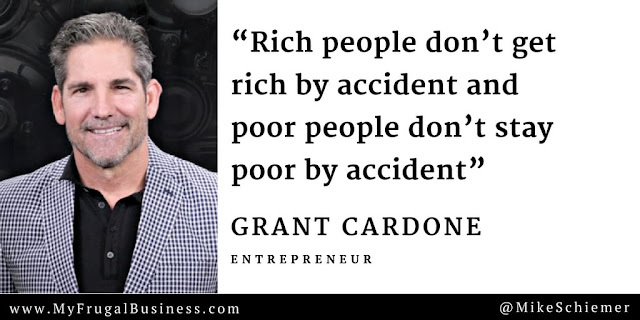 2) “Rich people don’t get rich by accident and poor people don’t stay poor by accident"
Thank you Grant Cardone for the inspiring business quotes! I hope you enjoyed this motivational quote compilation from entrepreneurship and sales guru Grant Cardone. Interested in more inspiring quote compilations for business?